A two lorry crash has closed part of the A14 in Cambridgeshire this morning, Wednesday October 24. 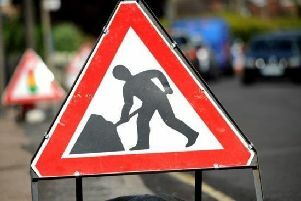 The road has had to be closed due to glass on the eastbound carriageway between junction 32, the B1049 (Histon Interchange) and junction 33 for the A10 (Milton Interchange). Congestion is already back to Girton / Cloverleaf Interchange. The road has been closed to help assist emergency services who are in attendance at the crash, which took place at 9.58am. Heavy recovery operators are now on scene working to move one of the HGVs straddling the carriageway. One driver, a man in his 20s, suffered slight injuries. The other driver is not thought to have been injured. UPDATE: The road has now been cleared and reopened as of 12.01pm.